Here is the latest from Paul about his work here in Hong Kong, coaxed out of him in the form of an interview. Be sure to check out the cool time-lapse videos below. Q: The last time we talked about your job at the West Kowloon Cultural District (WKCD), you said that the Xiqu Centre (Chinese opera house) is under construction, the Lyric Theatre (for theatre and dance) was in a holding pattern and Freespace (black box theatre) was going to tender. What is the status of those projects currently? A: Xiqu is more than 50% complete now. Xiqu is a big steel structure, which in itself is unusual because in Hong Kong most buildings are concrete. But I think the amazing thing is the way that the steel structure is put together. The main theatre of Xiqu will be on the fourth floor of the building (another unusual feature). The architects wanted the ground floor entrance to the building to be open and airy, so they suspended the theatre over the main foyer area. The structure is six huge columns that are 45 meters high (about 150 feet). The whole of the main theatre is suspended from those columns. In order to build that, they built the steel roof structure on the ground and then jacked it up. Once it was suspended at the top, they built the steel structure of the theatre on the ground and then lifted that up and fastened it to the roof structure. This is easy to say, but for me it is an amazing feat. After that, they began to wrap the building. It should be enclosed in a couple of months and then we can do interior work. It is scheduled to open in the fall of 2018. — This is the roof structure of Xiqu being jacked up. It weighs 1,900 tons. — You can see where a cable gets stuck and two guys come down to correct it. — This is the Xiqu theatre lift. It weighs 700 tons, so between the roof and the theatre, a total of 2,600 tons. Amazing! Freespace is a large experimental theatre that has been in construction for about four months. The foundation is laid and the structural columns are being formed. Freespace is situated in a park that occupies a large open area at the west end of the West Kowloon peninsula. Within the park, we have designed facilities to support outdoor events and performances. In anticipation of the construction of the park, West Kowloon accumulated and set aside a large number of trees to be planted later. In order to maximize public utilization prior to the opening, we have opened up our tree nursery and created a small park setting within it. We are running a number of programmes in the park called “Freespace Happenings”. These are events with music, dance, crafts, and so on that run on weekends. They’ve become really popular because it’s a nice open area along the harbour front for people to wander around and enjoy. We’ve had up to 8,000 people a day at these events. This is what the Freespace blackbox will look like in the park setting. It has seating for 450 people and can take 900 for standing events. The Lyric Complex is in the final stages of detail design. The piling is underway and we should start construction of the basement next summer. Lyric, for a number of reasons, evolved from a single theatre and a dance centre into three theatres with a dance resident company centre housed within it. Into that mix, we added two drama theatres. The bringing-together of the three facilities in the design has made for a complex but quite beautiful building. There is a ton of work being done right now and it’s moving along. Q: There’s already a lot going on. Are there any other projects percolating at West Kowloon? The overall district plan is incredibly ambitious and includes a number of other facilities. As we draw towards the end of the design phase of this batch, we will also start looking ahead to the next phase. The plan includes a concert hall, opera house and several more theatres. Q: How is the public reacting to the progress of the district? The utilization of the park has been inspiring. 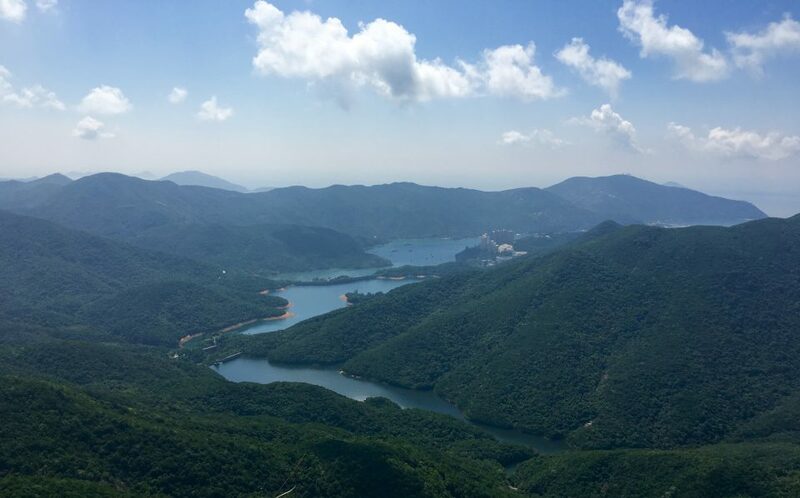 It has given me an understanding of the value of open space to people in Hong Kong because, while the programmes we put on are interesting, my impression is that people largely come out just to enjoy the open space. I think there is general excitement in the community at the prospect of new facilities, especially among the arts community. I think though that people don’t really hear much about the West Kowloon Cultural District. As we get into the physical development there hasn’t been a lot of media coverage, and the people I talk to tend to be quite surprised when they find out how much work is going on and how far the construction has come. Of the five major construction projects in this first phase, four are in construction and the Lyric will be soon. At this point, we have completed an exhibition space (the M+ Pavilion), and under construction are a major visual culture museum (M+), the park, two theatre centres (Xiqu and Freespace) and ten rehearsal spaces. By the end of this phase, there will be seven new performance spaces and 19 rehearsal halls. That’s a lot, especially in a city that is crying out for performance and rehearsal space. Q: Are you enjoying working here? Any project of this scale has both tremendous rewards and headaches. I have an incredibly dedicated and committed team, and in the balance, working on this project is really exciting. Q: You are coming to the end of your three-year contract. What does that mean (the interviewer/editor asks eagerly)? It’s early in terms of what I’ve come here to do. The project I came for was to design and build these facilities and build the team and structure to run and operate the production and technical aspects. It will still be a while before much of that is complete. Within two years, two facilities will be running, but there is a long way to go. Q: How do you like living in HK? A: I quite like HK. It’s still surprising to me how incredibly dense and vertical it is. I’ve got limited time to explore but I quite enjoy discovering new neighbourhoods. There’s something about the feel of HK that is just so different from the European and North American cities I’ve been in. It’s not the age. HK isn’t old but it has a unique character that I find intriguing. I like the weather, and I like where we live, which enables us to get away from the density of the city. So there you have it … an update that shines a bright light on some of the recent progress at West Kowloon Cultural District. It will be so great for Hong Kong and I’m thrilled for Paul that he has this opportunity to be part of such an amazing project. This is a cool picture of the interior of the Xiqu Centre. You can see the two levels of seating. What an exciting entry. Thanks to the “editor” for getting all this fascinating information out of the “subject”. Greetings to you both from your old home in Winnipeg where the temperature has plunged to minus 25 celsius.